Volkswagen Truck & Bus GmbH (“Volkswagen Truck & Bus”) and Navistar International Corporation (“Navistar”), the US-based commercial vehicles manufacturer, today announced that they have formed a far-reaching alliance that includes framework agreements for a strategic technology and supply cooperation and a procurement joint venture. Volkswagen Truck & Bus will furthermore acquire a 16.6% equity stake in Navistar through a primary share issuance. Volkswagen Truck & Bus will purchase from Navistar newly issued common shares representing, pro forma for such issuance, a 16.6% stake in Navistar for a price per share of $15.76 and an aggregate purchase price of approximately $256 million (or approximately €229 million at current exchange rates). In connection with this investment, Truck & Bus will be represented on Navistar’s Board of Directors. In addition, both companies have agreed to collaborate closely. 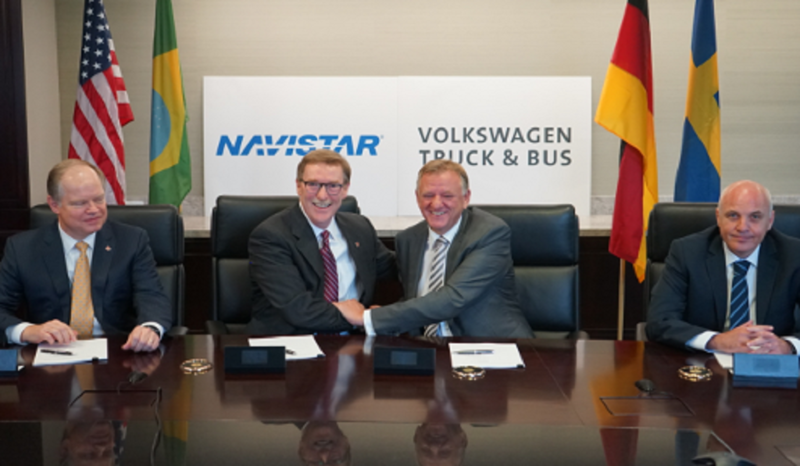 With the strategic technology and supply cooperation, Volkswagen Truck & Bus will become one of Navistar’s most important technology partners. While the partnership will focus on common powertrain systems, it will also enable collaboration in many aspects of future commercial vehicle development. Additionally, Volkswagen Truck & Bus and Navistar have agreed to establish a procurement joint venture that will pursue joint global sourcing opportunities. The strategic alliance will receive oversight from an Alliance Board consisting of top-level representatives from both sides. Under the umbrella of Volkswagen Truck & Bus, Andreas Renschler has been heading the process of bundling medium- and heavy-duty trucks and buses of Volkswagen AG into a robust commercial vehicles group. The Company’s strategy includes plans to expand into new regions. Within the next decade, Volkswagen Truck & Bus aims to become a worldwide leading commercial vehicles group in terms of profitability, innovations for its customers and global presence. The closing of the transaction and the implementation of the strategic alliance is subject to certain regulatory approvals and other customary closing conditions. 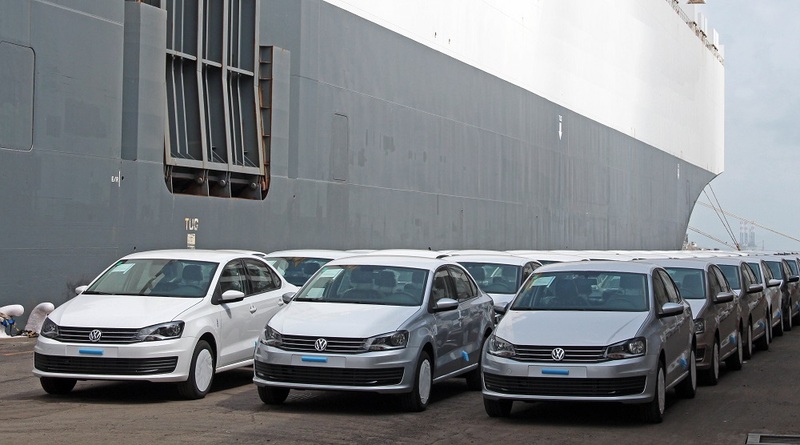 The closing of the share acquisition by Volkswagen Truck & Bus is further subject to the finalization of the agreements governing the procurement joint venture and of the first contract under the technology and supply cooperation. Closing is expected to be completed in late 2016 or early 2017. Volkswagen Truck & Bus was advised by Rothschild as financial advisor, and Davis Polk & Wardwell LLP, CMS Germany and Bär & Karrer as legal advisors.